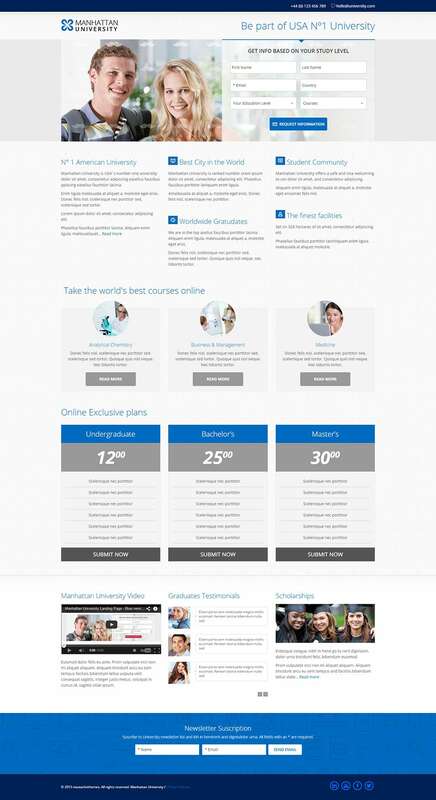 Add that professional touch to your educational websites with the university landing page templates. 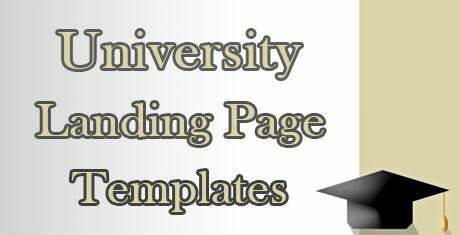 Crafted to be used instantly as the landing page for universities, institutions, research labs and other educational enterprises, the templates include all the options required to get you started right away. From stock photographs related to education, customizable icons and logos, to even separate blogs for the same website, the templates have everything you require in a single package. Present highlights of the university, or the new recent innovations, or even opening dates of semesters with elegant jQuery slider. Utilize the 3 column magazine style layout of the template to upload snippets of the most happening topics in the university. Also the landing page templates contain social media buttons that allow visitors to synchronize their accounts with the website in an instant. The templates have been coded with HTML5/CSS3 script that makes the websites ultra fast and allow for automatic scaling of elements as well. The templates include a number of useful plugins such as private member login portals, event updaters, subscription letter signup forms, and even in built video players. Also the templates include inquiry and contact forms with drop down menu options for easy filling up. Make use of the hundreds of fonts included in the template package to present the content just the way you want it, and with the powerful admin panel simply drag and drop elements on desired locations without having to type a single line of coding.